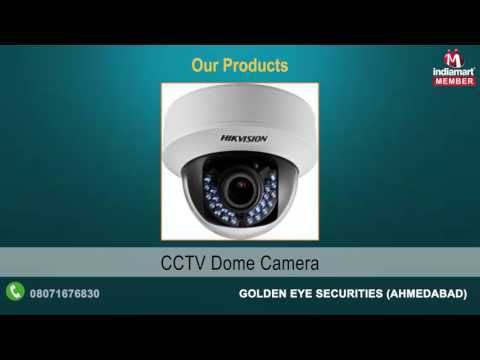 Incorporated in the year 2013, in Ahmedabad (Gujarat, India), we %u201CGolden Eye Securities%u201D are engaged in manufacturing, trading and supplying a qualitative assortment of Access Control System, CCTV Camera, Digital Video Recorder, Home Automation System, Metal Detector, Fire System, Security Camera and Video Door Phone. The offered range is widely used in home, schools, offices, malls, restaurants and other related places. These products are highly appreciated among our clients for their features such as full security, durability, easy to operate, low maintenance, excellent picture quality, compact design, reliable performance and long service life.